Find out what your favorite celebrity looks like with round glasses. Thi s trend has been around for awhile and is great for people who have an angular face shape…or when one wears their hair up in a high-ish bun. If there is one thing you could do to lighten or punctuate your look and style is to add the perfect glasses to compliment your style. The more fun and radical your eyeglasses are the more you create a look that is creative and open. Round glasses made there big debut in the 60’s…clearly it was a very big statement. 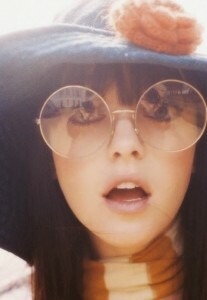 This look dates back to Twiggy in the 60’s who made this look very famous with her tiny face and huge round glasses. Though in the 50’s and earlier people like Ghandi and others in the lime light wore round glasses it was more a matter of fact and not a matter of fashion. Since then in the last few years this look has made a comeback in a pretty big way! Johnny Depp on the men’s side and Kate Hudson on the women’s have made this look a very familiar style and shown us how to wear it in fun. Johnny Depp wears his round glasses tinted in unusual colors like light blue to give it a tinge of fun and color. As prescription glasses they can be tinted or polarized to be made into sunglasses. 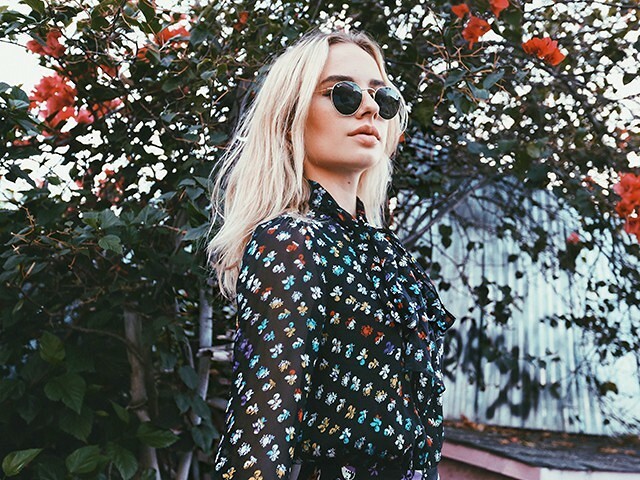 Just because fall is coming it doesn’t mean you have to stick to boring old clear specs, you can have fun with color, brighten up your day and protect your eyes from the glaring snow…or sun if you are in a place like LA!! Jazz it all up and chase away the winter blues..have fun with your look with a little bit of effort. Without a doubt one of the biggest trends these past few seasons are glasses, and that’s not sunglasses but optics…actual prescription glasses…geek chic, baby! There are several different version of round glasses…those made famous by RayBan are the round wire glasses as well as the more retro type that have a tear drop look to them. Either way enjoy your freedom and have fun with your glasses because now you can! See the world with insight! What the Celebs are Wearing.